Lewin is the training bag by Erreà designed for sport clubs and for the most demanding athletes. 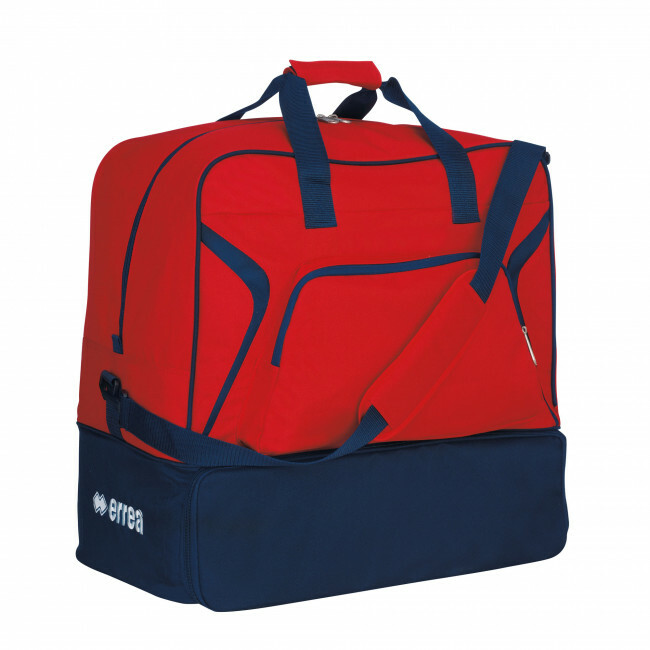 This holdall may be used for competitions or training sessions and, as well as being extremely sturdy and spacious, it also offers a practical separate bottom compartment to hold shoes. For this model, special attention has been given to design and aesthetics: you will find a practical pocket on the front to hold your most important belongings, and a small compartment to the side to insert your personal data, so as to avoid exchanging the bag with those of your team mates. Dimensions: 49x52x32 cm.